Africa is synonymous with wildlife safaris. After all, its vast network of natural reserves and wide-open plains offer unsurpassed wildlife viewing opportunities and bucket-list critters, including the “Big Five.” But if travel to Africa is not in your immediate plans, you can experience equally amazing wildlife expeditions in many other places, such as Brazil and Borneo. Not all alternative safari destinations serve up Africa’s super-slick tourist packages with around-the-clock game drives, luxury camps, and fine dining. What they do offer are rare opportunities to encounter charismatic creatures in some of the world’s most precious and pristine wilderness sanctuaries. Here are five of the world’s best safari experiences outside of Africa. The Pantanal is the world’s largest tropical wetland system, located in midwestern Brazil and spilling across the Bolivia and Paraguay borders. During the December to March rainy season, over 80 percent of the Pantanal’s floodplains are submerged, nurturing an astonishingly biodiverse environment with more animal species found here than in the Amazon. The Pantanal is virtually the only place where you’re likely to catch a glimpse of one of the world’s most enigmatic big cats, the jaguar, whose local population is thriving under the Pantanal’s World Heritage protection. 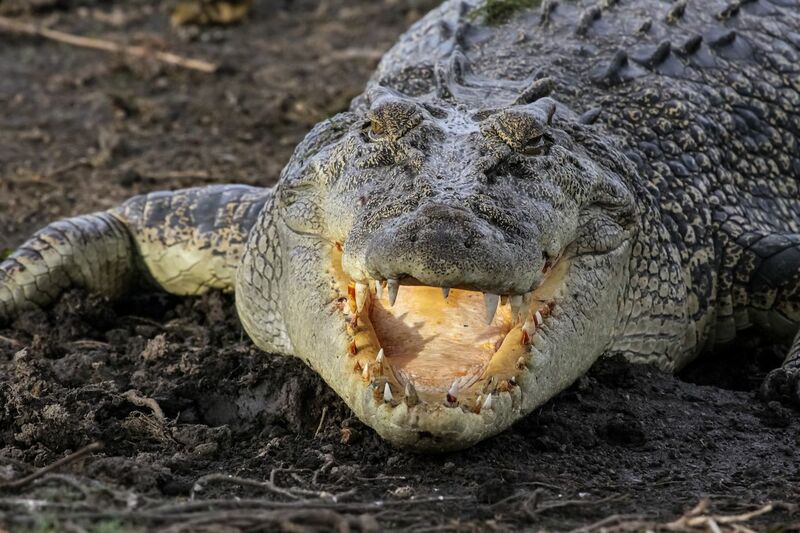 These elusive predators normally reside in dense rainforest, but in the more open habitat of the Pantanal, some tour operators guarantee sightings on trips of three days or more. Yet focusing purely on jaguars detracts from the other incredible animals that call the Pantanal home. You’re sure to meet capybaras, which abound here. These docile herbivores, the largest rodents on earth, can measure over four-feet long and weigh nearly 150 pounds. Other creatures you might spot are caimans and howler monkeys — and with some luck, anteaters, tapirs, ocelots, and giant otters — in a mix of overland safaris, river cruises, and nocturnal walks. When to Go: For the best chance of spotting jaguars, plan your trip during the dry season between July and October. 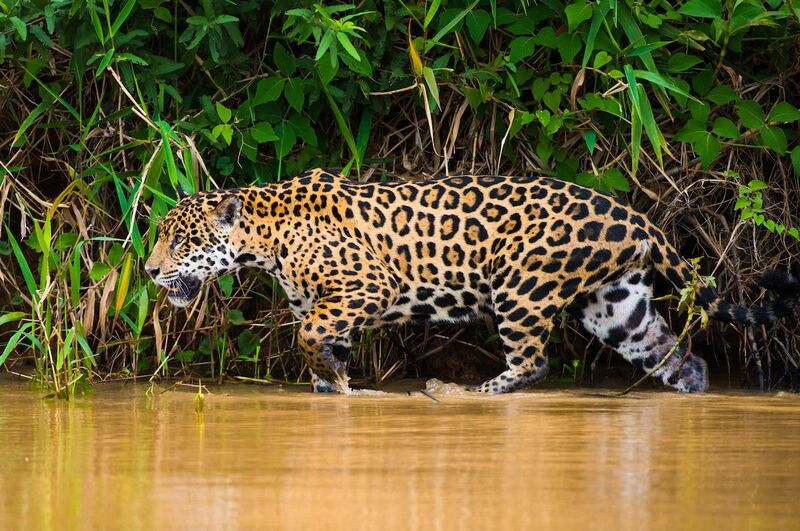 As the wetlands shrink, animals — including jaguars and their prey — rarely stray far from the remaining stretches of water. This time of the year also attracts an influx of migrating birds in stupendous numbers. Africa isn’t the only place with lions and leopards. India has them too, as well as the world’s largest tiger population. While lions are confined to a tiny pocket in India’s far west, tiger sanctuaries are dotted all over the country. 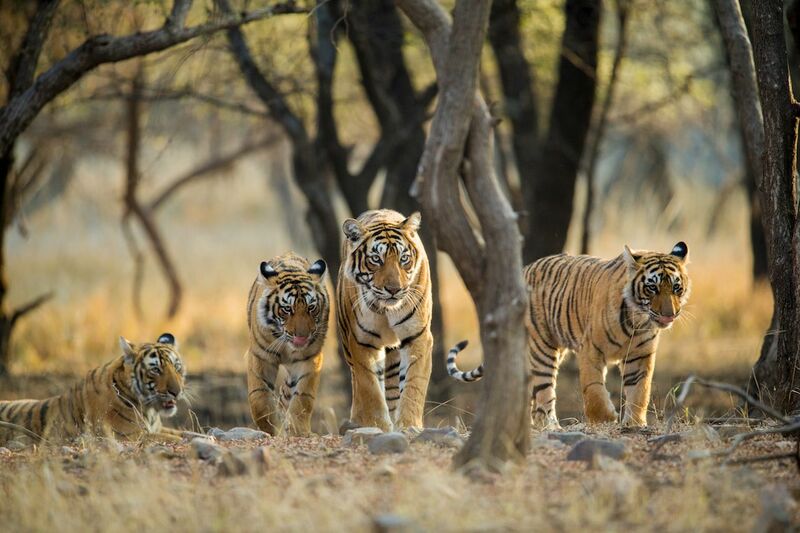 For consistent sightings and National Geographic-worthy photo ops, Ranthambore is a contender for India’s best tiger reserve. What makes Ranthambore especially interesting are the ancient ruins that dot the forest, including the 1,000-year-old Ranthambore Fort. Many a stunning snap has been taken of a majestic Bengal tiger lounging on the fortress walls. Game drives tend to be heavily tiger-focused, but the park has much more to offer. Like in the “Jungle Book,” Ranthambore’s characters include panthers, bears, and wolves (although sightings are relatively rare), monkeys galore, several deer and antelope species, crocodiles, and hyenas. When to Go: The best time for tiger sightings is during the summer months from April to June. The searing heat shrivels the vegetation that ordinarily obscures animals from view, and tigers can often be approached up close as they cool down in shallow water holes. The tradeoff is that Ranthambore in summer is blisteringly hot — so if comfort takes precedence, visit in the winter dry season and plan a few extra game drives to increase your tiger hit-rate. Five of Ranthambore’s 10 zones are closed during the little-visited July to September monsoon period. 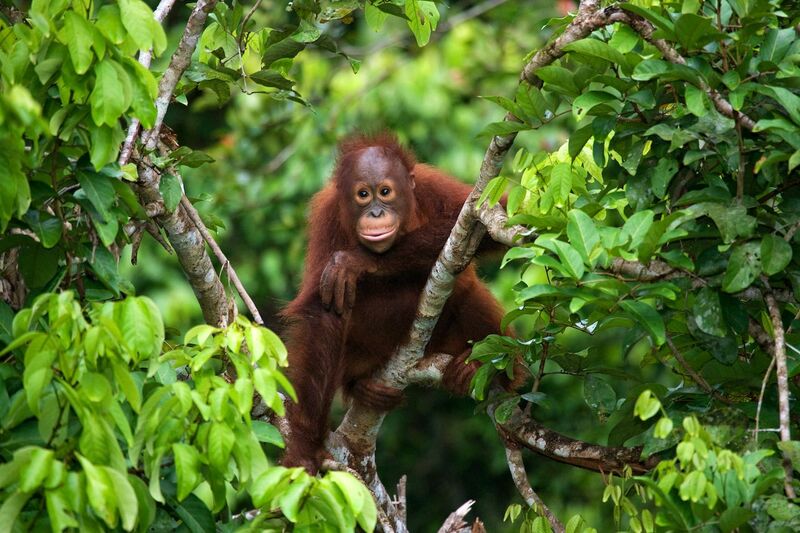 Borneo holds a distinct place in western imagination: an exotic land of unexplored jungles and mysterious tribes. It’s true that Borneo’s rainforests are home to an extraordinary wealth of wildlife, including 44 mammal species found nowhere else on earth. But the island is changing fast. Logging and palm-oil plantations have caused mass habitat destruction, pushing Borneo’s most iconic animal species — the orangutan — to the brink. Wildlife tours in the Malaysian state of Sabah are possible in the remaining slivers of rainforest, which tourists are increasingly playing a vital role in protecting. The most popular safari tours are centered on the Kinabatangan River in southwestern Sabah. Part of the river is preserved by the Kinabatangan Wildlife Sanctuary, a haven for Borneo pygmy elephants, proboscis monkeys, gibbons, freshwater dolphins, and hornbills. And of course, you’ll be watching out for the shy, retiring orangutan, which is sometimes spotted in trees above the river during boat excursions. When to Go: Kinabatangan can be visited year round, and orangutan sightings are always a possibility. Sabah’s official rainy season is between November and April; however, rainfall can occur any time of year. All-day downpours can cause delays but aren’t especially typical, and the low season promises fewer tourists and lower prices. Russia’s Kamchatka Coast and its neighboring Chukotka Autonomous District are some of the most wildlife-rich places in the Arctic region. Shaped by millions of years of volcanic activity, these remote areas are one side of the Bering Strait, which separates Russia from Alaska. 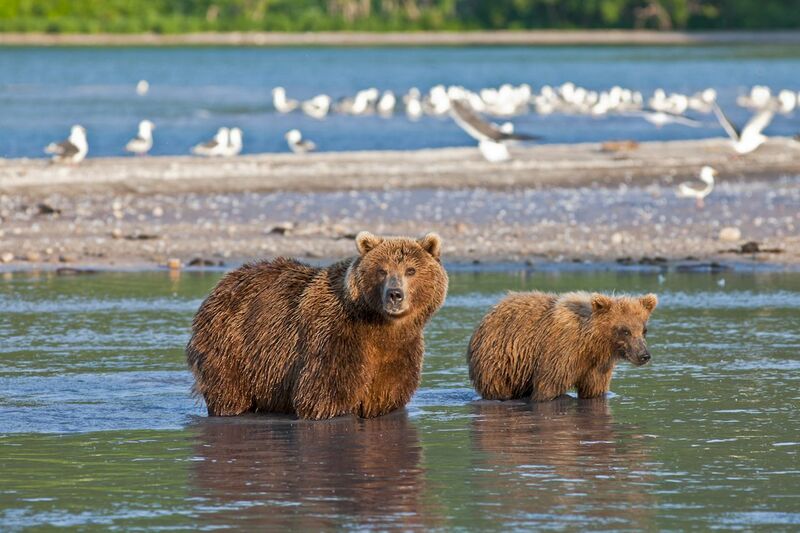 Kamchatka is famed for its brown bears, which can also be seen in Chukotka during the summer salmon run. But for the ultimate wildlife experience, you’ll need to take to the seas. Only a handful of cruise ships ply the Bering Strait between Russia and Alaska, searching for the marine mammals that feed in its icy waters and the giant bears that prowl its wind-swept coasts. Expect Zodiac launches onto tundra islands inhabited by polar bears and walruses, enormous cliffside colonies of seabirds, and a stopover at Wrangel Island, home to the world’s highest concentration of polar bears. The nutrient-rich waters support a mind-boggling amount of mega-fauna. Be on the lookout for gray, humpback, and beluga whales; orcas; seals; and Stellar sea lions. When to Go: Bering Sea voyages set sail exclusively in summer, between late-May and August. Early summer is the best time for migrating whales while mid-summer is when brown bear cubs are often spotted rambling along the more southerly beaches, freshly emerged from their dens. In the entirety of the vast continent known as Down Under, it’s the fabled Top End that truly represents the Australian bush of every adventurer’s imagination. At the crossroads of the outback and the tropics, the Top End’s Kakadu is a land of monsoonal rivers, thundering waterfalls, and towering escarpments. It is almost unquestionably Australia’s single-most-rewarding wilderness experience. Wildlife safaris traverse the park by 4WD and boat with short hikes to stunning natural swimming pools. Of course, most bodies of water here are strictly no swimming. Kakadu is teeming with saltwater crocodiles. While the kangaroo-munching crocs are the park’s best-known residents, Kakadu’s most breathtaking spectacle is the annual bird migration. During the dry season, phenomenal numbers of waterfowl flock to the refuge of the Mamukala wetlands. The sight of tens of thousands of birds taking to the air against a blood red sunset is not soon forgotten. When to Go: The majority of visitors head for Kakadu during the May-to-October dry season. Migrating birds are most numerous during the tail-end of this season. Sweltering humidity aside, visiting Kakadu in the wet season has its advantages: fewer tourists, waterfalls in full flow, and dramatic evening lightening displays. However, heavy downpours can wash out roads and close some attractions. Expect scattered rain throughout the day, and by rain, we mean the bone-drenching, torrential, sideways kind. Welcome to the Top End!